DO THIS: Assign your students numbers. NOT THAT: Label everything (cubbies, mailboxes, lockers, etc.) with student names. FIRST: You can easily number your student mailboxes, cubbies, folders, and more and not have to re-label everything each year. It saves a lot of time! Plus, you don’t have to wait for your class list to label stuff. If you teach upper elementary, consider using roman numerals. Then students HAVE to learn what those mean! Imagine NOT having to peel name stickers off of everything at the end of the year and instead just putting up those circle dot stickers they sell at Walmart once every few years. You can get these guys at Walmart for about $4.00. There’s tons of them in a pack and they are a lot cheaper than individual name tags. SECOND: Finding out who is missing an assignment is so much easier. One of my classroom jobs is “paper manager.” Their job is to collect all papers and put them in number order. I teach students to write their number very large in the top left hand corner of every paper at the beginning of the year. The paper managers can quickly find who is missing an assignment and gather it from the student. If the assignment isn’t done, or a student is absent, the paper manager writes a list on a sticky note and puts it on the stack before paper clipping the bundle of assignments together. THIRD: By about week three I have my numbered list memorized. It helps a ton during emergency drills and field trips. I can call my class list out from memory to see if anyone is missing. Yes, most of the time I have my gradebook and can look at my list, but if I’m ever without it, I’m fine! 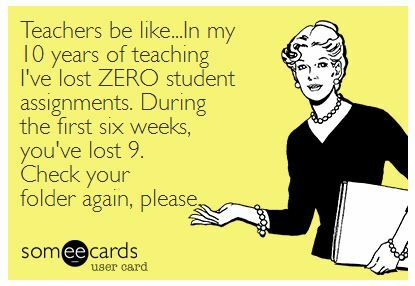 You might be saying, “But I want my classroom to be personal. Students should have their names on cubbies!” I have used this system with success for over a decade. Even with first graders! A veteran teacher shared this tip with me and I’m quite grateful! Some students truly want their name on stuff and here is my suggestion: Let them! Students can decorate an index card with their name and use a piece of painter’s tape to affix the name to the cubby/locker/desk. Now for the giveaway stuff… you’ve worked hard setting up that classroom! 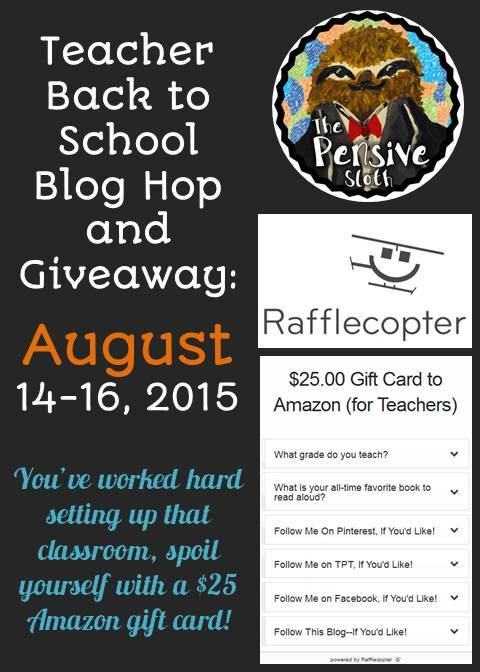 Would you like to win a $25 Amazon gift card from The Pensive Sloth to spoil yourself (or buy something for your classroom)? Of course you would! Click the link below to be taken to Rafflecopter to enter the giveaway. My giveaway terms: To be eligible to win, you must be a teacher or homeschooling parent in the US or Canada. Verification may be required. Once a winner is chosen and contacted, he/she has 24 hours to respond by email. If a response isn’t received in the time frame, a new winner will be selected and contacted. If something seems fishy, I reserve the right to use Rafflecopter to select a new winner. Only one $25 Amazon gift card will be given away. More great giveaway stuff…Click the NEXT STOP image below to see what Miss Stefany has to share and giveaway! 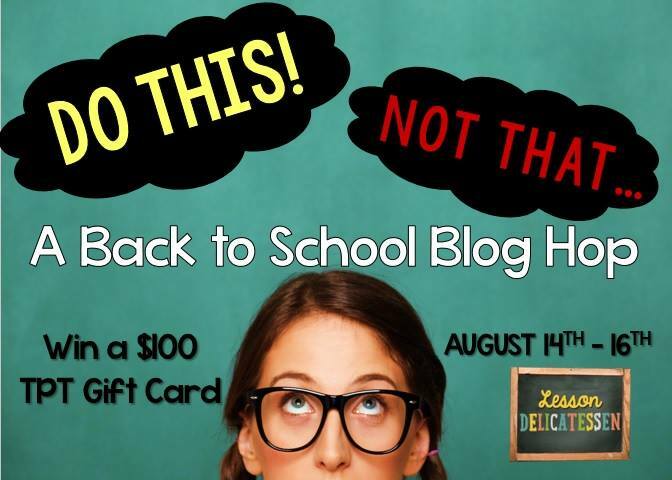 There are nine teacher bloggers in this hop, each giving away something fantastic, so don’t stop here. Keep going! You can do it! After you hop through, you’ll land at the Lesson Deli page where you can enter to win a $100 gift card to TPT. Click the NEXT STOP button to head over to Interactive Learning with Miss Stefany! Reading Strategy Lesson...In science class? Why I Love IXL Math...and an IPAD Mini Giveaway!